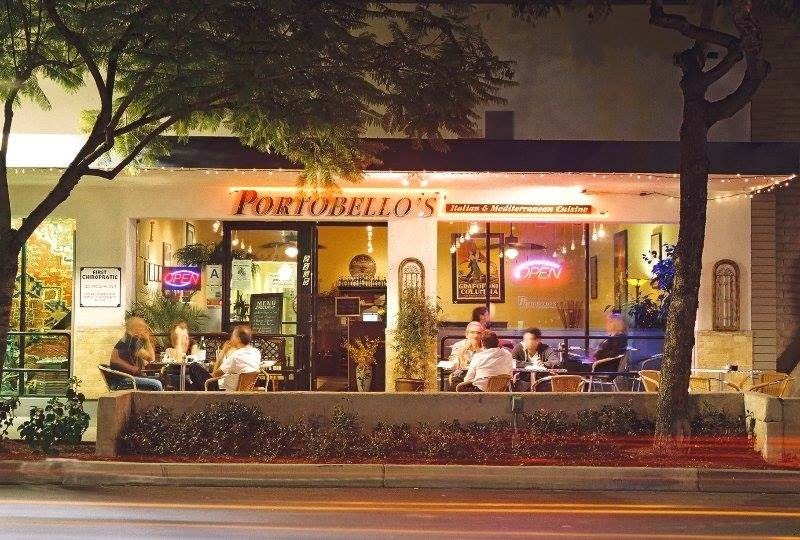 Portobello’s is one of those places that really allows you to disappear into the ambiance, tricking you into thinking you’re in the heart of some Italian or Greek village, not the Valley in Los Angeles. 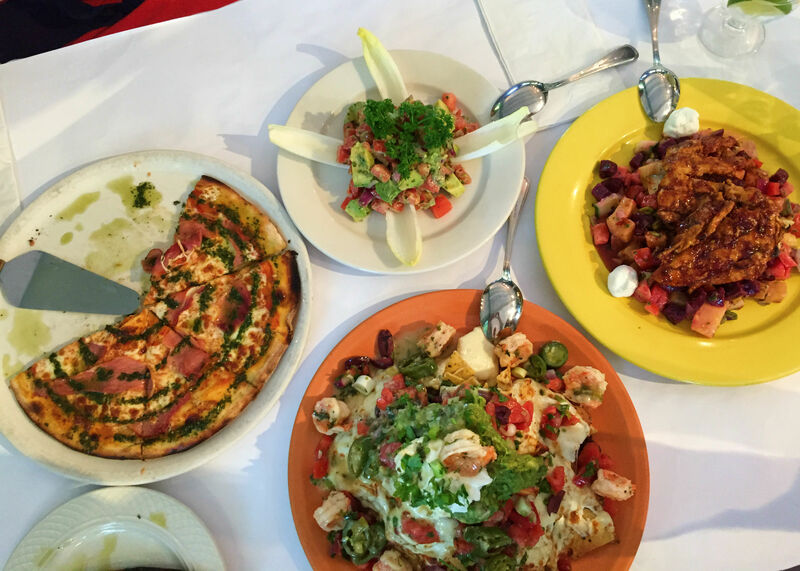 From the subtle Italian music to the friendly staff, the place beams with a welcoming and family-oriented aura you can’t help but love. I had a reaallllyyyy hard time trying to decide what to recommend for you to eat this month because LITERALLY everything on this menu is good – trust me. AND the menu is huge, so what you missed the first time around, you can always come back for seconds and have a completely different experience. As soon as you’re seated, the server will bring you out warm, doughy, garlicky bread and chimichurri dipping sauce, an Argentinian delicacy that will have you salivating. It’s an amazing way to start your meal and believe me, you’ll definitely want to purchase a pint of the chimichurri for yourself to take home (which Portobello’s actually offers). Order yourself a glass of Eberle Cabernet – one of the finest wines they carry, yet very reasonably priced – and you’ll be on your way. 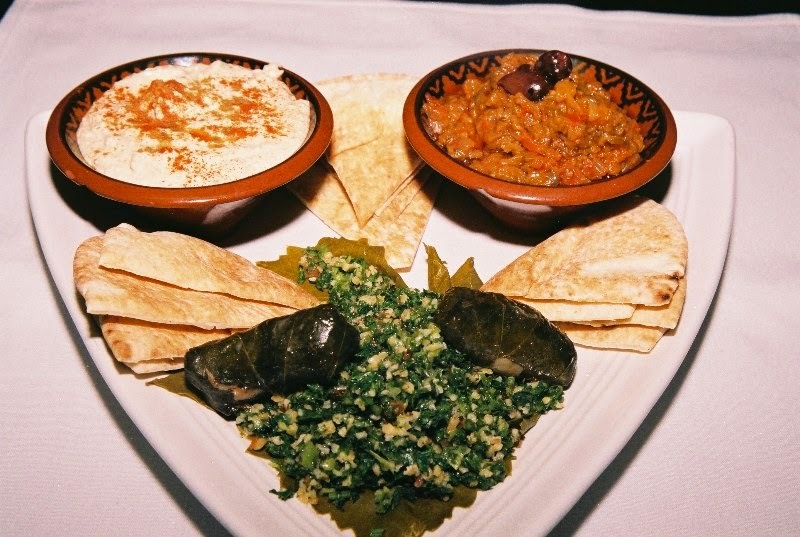 As an appetizer, I suggest the Mediterranean Sampler – warm pita bread is served with – okay, wait, pause. Let me just say that I’m something of a hummus connoisseur. 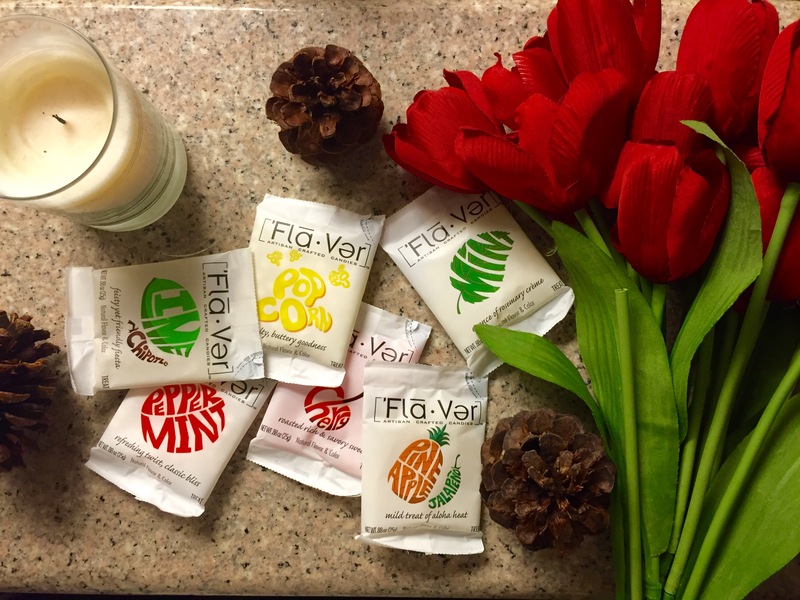 I eat it constantly and am always trying new flavors. Portobello’s however, has the BEST hummus I have ever tasted. It’s creamier than any other brand, more flavorful with the perfect amount of spices, and plain ‘ol finger-lickin-good. OKAY, sorry, I needed to get that off my chest. The Sampler comes with this amazing hummus, ikra (pureed eggplant and tomato), dolmades, and tabouleh, which I’m also a sucker for. For your main course, I’m going to suggest three options. If you’re feeling in the seafood mood, one of the best pasta dishes on the menu is the Linguini ala Lobster. 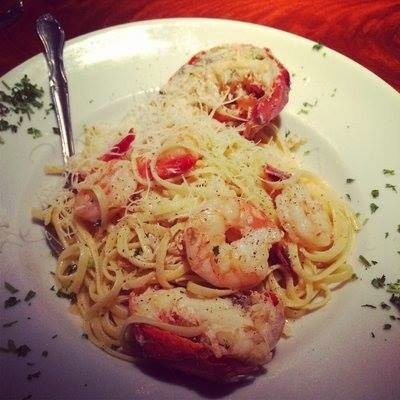 A lobster tail, crab, AND shrimp tossed with fresh pasta in a garlic wine butter sauce. 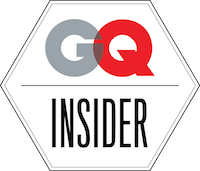 It’s #todiefor. 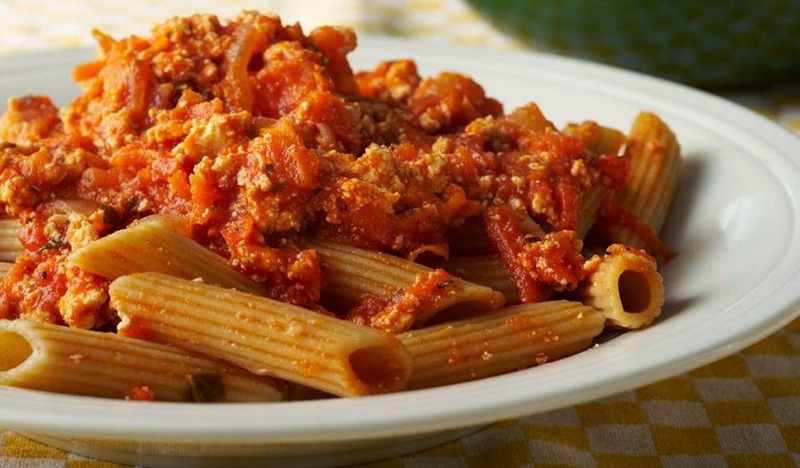 If you’re looking for something more traditional, go with the rigatoni bolognese. 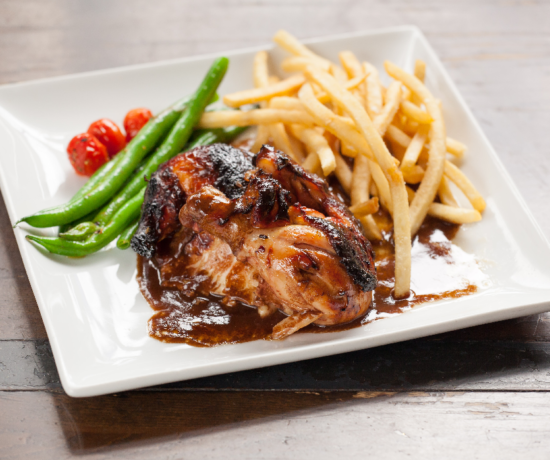 Not only is it one of the most popular dishes at Portobello’s, but it’s the perfect comfort food. When the LA weather is looking a little dreary, there’s nothing better than a bowl of pasta and glass of wine to get you through the day. 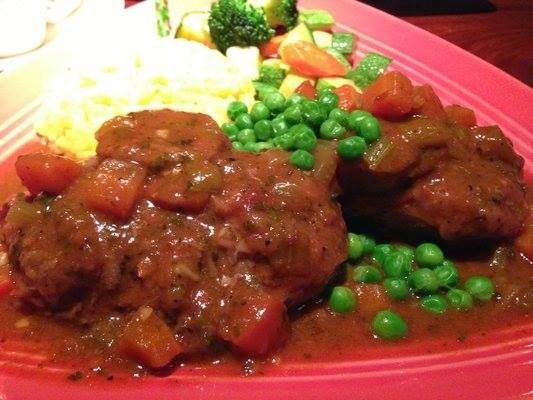 Finally, from the Daily Special Menu, I have to say that the Osso Bucco will have you thinking you died and went to heaven. Slow cooked for hours, the meat will fall off the bone once served and melt right in your mouth. Also on the platter comes saffron risotto and an assortment of fresh, seasonal vegetables. Paired with a house starter salad that is included in the price, you’ll be happy you chose the dish – but watch out – you’ll have to fend away whomever you came in to eat with as they won’t be able to keep their hands off your plate. 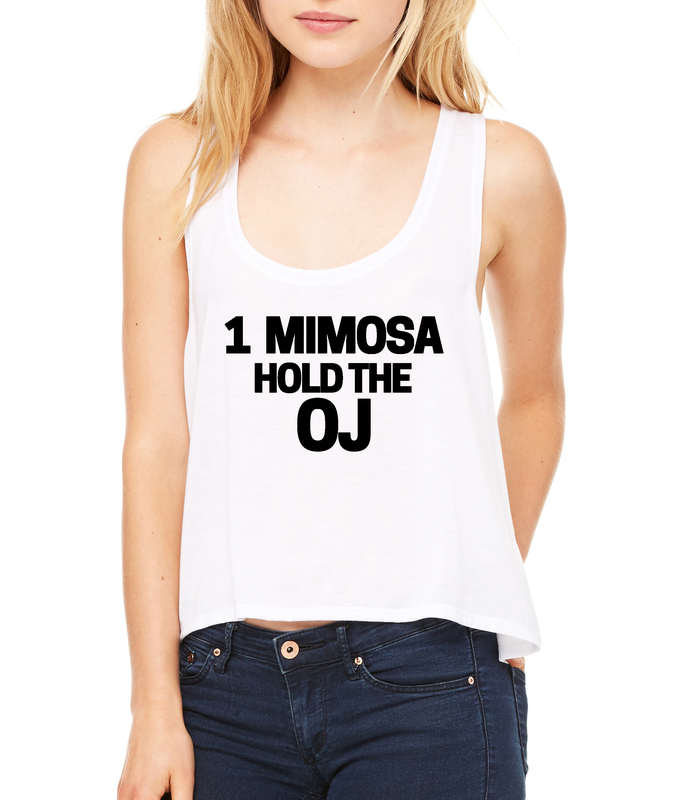 Are you full yet!? It doesn’t matter if you are because the only thing better than what I’ve already informed you of is the homemade tiramisu. All I can say about the dessert is…get ready. Rich, creamy, velvety marscapone layered with lady fingers, espresso and coffee liqueur, and dusted with cocoa powder. FUHGEDABOUTIT. 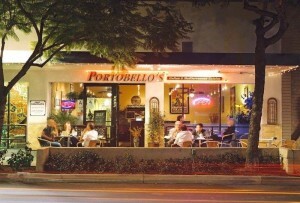 I’m confident you’ll have an amazing time at Portobello’s whether you’re enjoying time with your family, a hot date, or even dining solo. Get in there ASAP and tell them that Kyle sent you 🙂 Bon appetite!